John and Andy are joined by Jonathan Wilson, sports writer and author of eleven books, including Inverting the Pyramid, a history of football tactics that was named Football Book of the Year in 2009. His most recent book is The Barcelona Legacy: Guardiola, Mourinho and the Fight for Football's Soul published by Blink in 2018 and which is appearing in paperback in April. Jonathan is also the editor of The Blizzard, a quarterly journal of football writing. He is joined by Rachael Kerr, a publisher an editor who has worked for Cape, Picador, Harvill and Unbound. Rachael has previously appeared on the Charles Sprawson and D.H. Lawrence episodes of Backlisted. She is also married to John. 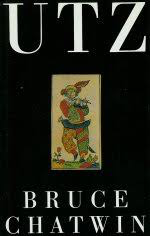 The book that Jonathan and Rachael are here to talk about is Utz, the last novel and penultimate book by Bruce Chatwin, first published in 1988 by Jonathan Cape. The discussion also discloses Andy’s bafflement at Elizabeth Smart’s By Grand Central Station I Sat and John’s admiration for Valeria Luiselli’s Tell Me How it Ends: An Essay in Forty Questions. In this episode of Backlisted John and Andy welcome back Alice Jolly, novelist, playwright and memoirist, who has won both the Royal Society of Literature’s V. S. Pritchett Memorial Prize for short stories and the PEN/ Ackerley Prize for non-fiction for Dead Babies & Seaside Towns, and whose latest book, Mary Ann Sate, Imbecile, was John’s favourite novel of last year. Alice first appeared on Backlisted in February 2016 to discuss Shirley Hazzard’s The Great Fire. She is joined by Amanda Craig, writer and critic and author of seven novels including A Vicious Circle and most recently the brilliant state of the nation novel, The Lie of the Land, published by Little Brown in 2017 and serialised that year as a Radio 4 ‘Book at Bedtime’. 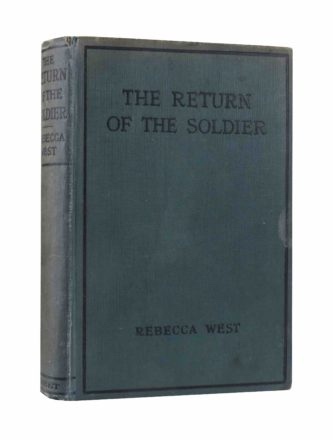 The book that Alice & Amanda have chosen to here talk about is The Return of the Soldier, the first novel by Rebecca West, first published in 1918, when she was 24. The discussion beforehand includes John’s passionate admiration for Julia Blackburn’s latest book Time Song: In Search of Doggerland and Andy’s report back on finally tracking down a copy of cult author Alexander Baron’s second Harryboy Boas novel, Strip Jack Naked. Joining Andy and John on this episode of Backlisted is Dickon Edwards, a London-based writer, dandy, occasional DJ, and erstwhile musician. In the 1990s and 2000s he toured and released albums with the bands Orlando and Fosca. He has kept an online diary, The Diary at the Centre of the Earth, since 1997: in 2017 it was recognised as the longest running of its kind by the Centre for Life-Writing Research at King’s College London. He is currently balancing freelance arts journalism with researching for a PhD at Birkbeck, University of London. 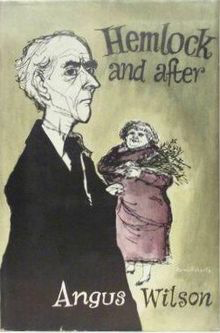 His PhD topic is 'Ronald Firbank and the Legacy of Camp Modernism' The book that Dickon is here to talk about Hemlock and After the first novel by Angus Wilson, first published by Secker & Warburg in 1952. The discussion also considers the short but beautiful Suite for Barbara Loden by Nathalie Léger and a Jane Austen novel (Northanger Abbey) that Andy can finally get on with. Joining Andy and John in this episode are Daisy Buchanan, writer, feminist, host of the brilliant You’re Booked podcast & regular contributor across TV and radio, from Woman's Hour & BBC Breakfast to the Guardian, Telegraph, Grazia, and The Pool. Daisy’s latest book is How to Be a Grown Up is soon to be followed by The Sisterhood: A Love Letter to the Women Who Have Shaped Me, published by Headline in March. She is joined by Dr. Ian Patterson, a poet and retired academic who taught English for 20 years at Queens’ College, Cambridge. Ian’s latest poetry collection, Bound to Be, was published by Equipage in 2017. His poem ‘The Plenty of Nothing’ (an elegy for his late wife, the writer Jenny Diski) was the the winner of the 2017 Forward Prize for Best Single Poem. The main book under discussion is is Imogen by Jilly Cooper, first published by Arlington Books in 1978, the fifth in her now legendary series of 7 ‘romances’ published between 1975 and 1981. Also in this episode, Andy overcomes his horror of football to praise J.L. Carr’s 1975 classic How Steeple Sinderby Wanderers Won the F.A. Cup while John toasts the memory of the great children’s author and illustrator, John Burningham. Joining John & Andy for this episode are two returning guests: Rachael Kerr, publisher and editor, former Publicity Director of Jonathan Cape, Marketing Director of Picador and Harvill and now editor at large for Unbound, who joined us for the Charles Sprawson episode; and Catherine Taylor, writer and critic, who contributes regularly to the Financial Times, the Guardian, the Economist, the TLS, the New Statesmen & the Irish Times, and is a judge for the 2019 Republic of Consciouness Prize and commercial director for the brilliant Brixton Review of Books. Catherine last joined us to talk eloquently about Vladimir Nabokov’s The Gift. But the book they are here to talk about today is The Rainbow by D.H. Lawrence, first published by Methuen in 1915, which with its sequel Women in Love, is widely to be considered to be Lawrence’s crowning achievement as a writer. As you would expect, the debate is vigorous: Lawrence is a writer who continues to divide readers and the four participants cover the ground from qualified enthusiasm to sympathetic scepticism. On New Year’s Day we asked our Twitter followers for any outstanding ‘old’ books they had read in 2018 and would like to recommend. We were overwhelmed by the response: 137 titles were recommended - many of which we had never heard of before - so we’ve decided to publish the full list (title, author and the Twitter handle of the person who recommended it) as useful reference. It’s pasted directly below the Soundcloud link. 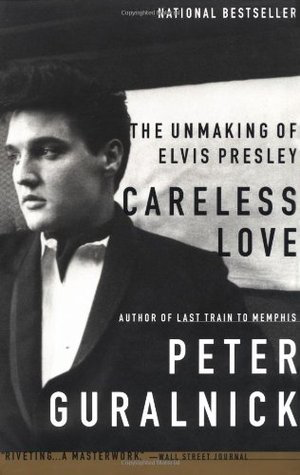 Joining John and Andy for this live Christmas special recorded at the London Review Bookshop are Hilary Spurling, one of this country’s most respected biographers and literary editors, whose books have won multiple awards including the 2005 Whitbread Book of the Year for Matisse the Master, the second volume of her life of the artist. She is also the official biographer of the novelist Anthony Powell, and her Anthony Powell: Dancing to the Music of Time was published to universal acclaim last year. Hilary is also the author of Invitation to the Dance, a handbook for readers of the 12-volume novel sequence that the author himself described as a ‘master-key’. She is joined by Philip Hensher, the novelist and critic. Philip’s novel The Northern Clemency was shortlisted for the Man Booker Prize in 2008 and Scenes from Early Life won the Ondaatje Prize in 2013. Earlier this year Penguin released The Penguin Book of the Contemporary Book of the British Short Story edited by Philip and 4th Estate released his latest novel, The Friendly Ones, described by The Times as ‘the book you should give someone who thinks they don’t like novels.’ Hilary and Philip are here to talk to about Books Do Furnish a Room, the tenth novel in Anthony Powell’s magnificent roman fleuve A Dance to the Music of Time, this volume first published by Heinemann in 1971. Philip Hensher - The Northern Clemency; Scenes from Early Life; The Penguin Book of the Contemporary Book of the British Short Story; The Friendly Ones. 81. Harpo Marx - Harpo Speaks! For this Backlisted, Andy and John are joined by Dan Schreiber, writer, producer, comedian, QI elf, co-creator of the award-winning podcast, No Such Thing as A Fish and co-author of The Book of the Year 2018. 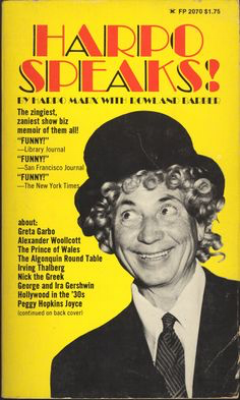 The book Dan has chosen is Harpo Speaks! by Harpo Marx & Rowland Barber, first published in 1962. This episode also contains the team’s Christmas book recommendations. Harpo Marx & Rowland Barber - Harpo Speaks! In this special Hallowe’en episode Andy & John are joined by Lissa Evans, writer, producer, director and author of three children’s book and five novels, including most recently, Old Baggage, a book which Andy recently praised here. This is Lissa’s third Backlisted appearance - she was on the very first episode discussing J.L. Carr’s A Month in the Country and later on the episode featuring Patrick Hamilton’s The Slaves of Solitude. She is joined by Andrew Male, senior associate editor of Mojo magazine who writes about film, radio and TV for Sight and Sound and Sunday Times ‘Culture’. If Backlisted had a resident ghost it would surely be Andrew – this is his fourth time of haunting: as well as the episode on Raymond Chandler’s The High Window, he featured on both previous Hallowe’en editions discussing Robert Aickman and Shirley Jackson. 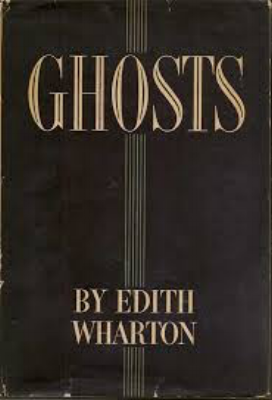 The book under discussion in this episode is Edith Wharton’s Ghosts, a collection she selected and introduced herself and which was published posthumously in 1934. Before that, Andy is puzzled and amused by Daphne Du Maurier’s last and weirdly prophetic ‘Brexit’ novel Rule Britannia and John enjoys Alan Garner’s recently published memoir, Where Shall We Run To? 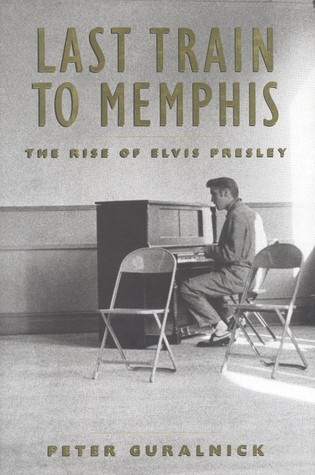 (published by Fourth Estate). In this episode of Backlisted, Andy and John are joined by Samuel West, actor, director and narrator, most recently on our screens as Geoffrey Ponting in the film adaption of Ian MacEwan’s On Chesil Beach and Anthony Eden in the Oscar nominated Darkest Hour; and Sophie Ratcliffe, writer, critic and academic, associate professor of English at Lady Margaret Hall in Oxford and editor of P.G. Wodehouse’s letters, whose new book The Lost Properties of Love is out from HarperCollins in 2019. They are here to talk about Louis MacNeice’s Autumn Journal, a book-length poem in 24 stanzas, first published by Faber & Faber in 1939. This episode also features John being charmed by Katharine Kilalea’s short but brilliant debut novel, OK, Mr Field and Andy re-immersing himself in the inimitable world of writer Francis Plug, in Francis Plug: Writer in Residence by Paul Ewen, published by Galley Beggar Press. In this episode, John & Andy are joined by author and editor Sarra Manning. Sarra has written a constellation of adult and YA novels and has contributed to the Guardian, Elle, Grazia, Stylist and is currently the Literary Editor of Red magazine. Her latest adult novel, The Rise & Fall of Becky Sharp has just been published by HarperCollins. 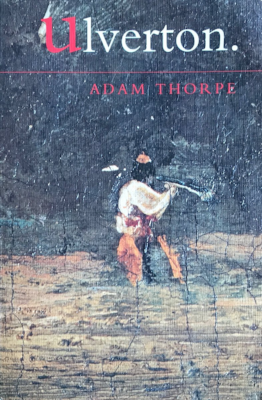 Also in this episode, John discovers a powerful new voice in Anna Burns’ novel Milkman (shortlisted for the 2018 Man Booker Prize) and Andy has another go at finishing the surprisingly topical Daniel Deronda by George Eliot. This episode of Backlisted was recoded live at the Port Eliot Festival in Cornwall on July 27th, 2018. Andy and John are joined on stage by writer, actor and comedian Ben Moor, author of More Trees to Climb (Granta) and whose latest comedy show ‘Book Talk Book Talk Book’ premeried at the Festival, and writer and journalist Cathy Rentzenbrink, author of The Last Act of Love and A Manual for Heartache (both published by Picador) and is currently at work on her first novel. The book under discussion is Pierre Bayard’s How To Talk About Books You Haven’t Read, first published in France as Comment parler des livres que l'on n'a pas lus? 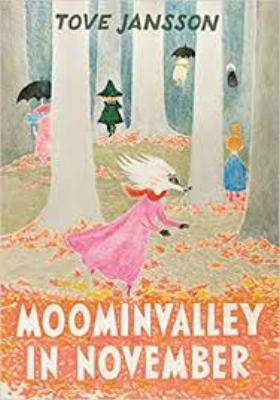 by Editions du Minuit in 2007, and in the UK by Granta in a translation by Jeffrey Mehlman. John Sutherland – Is Heathcliff a Murderer? Thanks to Spoke for sponsoring this episode - Spoke cut trousers in more sizes and custom finish for a flawless fit – delivered in two working days. For £20 off your first purchase, use the code BACKLISTED20 at checkout (valid to 30 September, 2018).